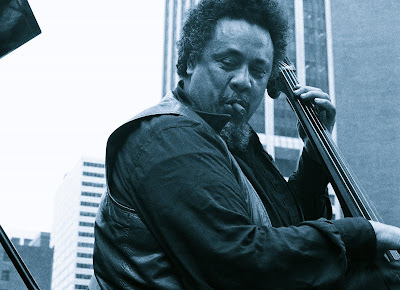 Jazz giant Charles Mingus was born on April 22, 1922. To honor the anniversary, WKCR – the Columbia University radio station – will play 24 straight hours of Mingus music. Starting now (midnight, Eastern Time). Follow this link and find the live stream that suits you best, if you wanna check out some. WKCR does this every year. Matter fact, the station honors a number of jazz legends in likewise fashion. Duke Ellington’s all-day tribute will be April 29. Let me spread the Mingus love with a 10-minute chunk of “New Fables,” a 23-minute track off the 1964 album “Right Now: Live at the Jazz Workshop.” Click hear to listen. It swings hard. Thanks for this. Mingus is one of top five musicians. Maybe Wayne Shorter, Miles, Jobim, and Fela round that out a little bit. When I'm trying to explain jazz to people who don't know anything about jazz, I usually play them "Better Git It in Your Soul," the version that's track one on Mingus Ah Um. Sometimes they get it. Sometimes they don't. ^ "Mingus Ah Um" was one of the jazz CDs that turned me out in 2003. "Goodbye Porkpie Hat" blew my head. Dave, I'm with you on "Good-bye Pork Pie" hat. It was the first Mingus song I heard, which happened during my senior year in high school. Tried to learn that soulful solo. Later, I got turned onto Mingus Ah Um. After "All Blues," I think "Fables of Faubus" is the classic sound of jazz with those cool sounding saxophones on the intro and chorus. Digging this special except I just dropped my speakers so now one doesn't work and the other is hanging by a wire - literally. Ah Mingus, Sun Ra is my man….Mingus is my god. The first time I saw Mingus Ah Um , was in my father’s “short stack”…You know that pile or stack of records that you never put back into your carefully catalogued collection or your record rack because you knew that you were going to play them very soon. Ten years ago when I was putting my grandchild asleep every night at the computer, we always ended with 2 songs. One was Naima…and the other was Goodbye Pork Pie Hat. I even used to sing a variation of the “Lester Young is playing what he’s feeling” lyrics to her….and we she was old enough, she’d join in. Not long after the Ken Burns Jazz special re-ignited my love for the genre, the two artists that I ended up playing the most for my now two poopers were Armstrong and Mingus. To this day, they love Fables and several others….but their second fave tune is Wednesday Night Prayer Meeting…They love banging on the back of the my car seat and anything else during the “Gospel Shouts” section. I will most def check out the station when I get home tonight. I’m sure it will make great background to tonight’s NBA playoffs. As a former WKCR alum I have to say the annual birthday broadcasts are a public radio treasure. They also celebrate Max Roach, Roy Eldridge, Ornette Coleman, Bix Biederbecke, Billie Holiday, Louis Armstrong, Lester Young, Charlie Parker, John Coltrane, Clifford Brown and Coleman Hawkins. No better place for classic seldom heard music on the radio. Best part of my education, I'll tell you that. ,..... And "Mr. Eddie Durham".